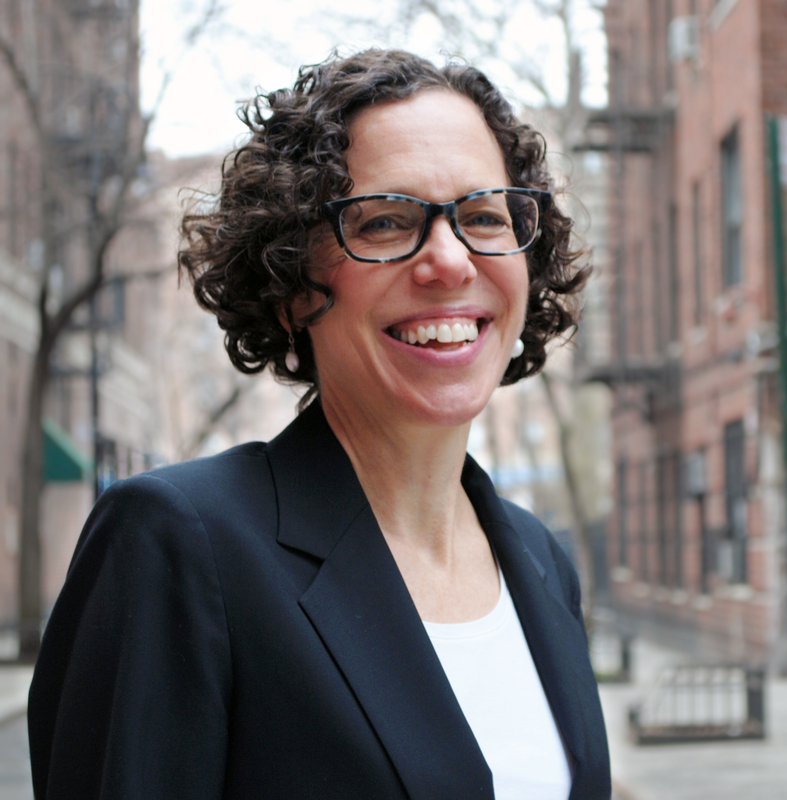 Ingrid Gould Ellen is the Paulette Goddard Professor of Urban Policy and Planning at NYU’s Robert F. Wagner Graduate School of Public Service and Faculty Director of the NYU Furman Center. Her research centers on neighborhoods, housing, and residential segregation. Ingrid is author of Sharing America’s Neighborhoods: The Prospects for Stable Racial Integration (Harvard University Press, 2000) and editor of The Dream Revisited: Contemporary Debates about Housing, Segregation and Opportunity (Columbia University Press, 2019) and has published articles in such journals as the Journal of Urban Economics, the Journal of Policy Analysis and Management, the Journal of the American Planning Association, and Housing Policy Debate. Ingrid teaches courses in microeconomics, urban economics, and urban policy research. Ingrid has held visiting positions at the U.S. Department of Housing and Urban Development, the Urban Institute and the Brookings Institution. She attended Harvard University, where she received a Bachelor’s degree in Applied Mathematics, an M.P.P., and a Ph.D. in Public Policy. Sharing America’s Neighborhoods: The Prospects for Stable Racial Integration. Harvard University Press, 2000. Cityscape: A Journal of Policy Development and Research: Symposium on Gentrification. Co-edited with Lei Ding. 2016. Journal of Housing Economics: Special Issue on Housing Policy in the U.S. Co-edited with Raphael Bostic. 2014. Cityscape: A Journal of Policy Development and Research: Special Issue on Rental Housing. Co-edited with Vicki Been. 2011. How to House the Homeless. Co-edited with Brendan O’Flaherty. Russell Sage Foundation Press, 2010. “Does Losing Your Home Mean Losing Your School? Effects of Foreclosures on the School Mobility of Children.” Co-authored with Vicki Been, Amy Ellen Schwartz, Leanna Stiefel, and Meryle Weinstein. Regional Science and Urban Economics, 41(4), 2011: 407-414. “Does City-Subsidized, Owner-Occupied Housing Improve School Quality? Evidence from New York.” Co-authored with Amy Ellen Schwartz, Brian McCabe, and Colin Chellman. Journal of the American Planning Association, 77(2), 2011: 127-141. “Public Schools, Public Housing: The Education of Children Living in Public Housing” Co-authored with Amy Ellen Schwartz, Brian McCabe, and Colin Chellman. Urban Affairs Review, 46(1), 2010: 68-89. “Immigration and Urban Schools: The Dynamics of Demographic Change in the Nation’s Largest School District.” Co-authored with Dylan Conger and Katherine O’Regan. Education and Urban Society 41(3), 2008: 295-316. “Reversal of Fortunes? Low Income Neighborhoods in the 1990s.” Co-authored with Katherine O’Regan. Urban Studies 45(4), 2008: 845-869. “Social Programs and Household Size: Evidence from New York.” Co-authored with Brendan O’Flaherty. Population Research and Policy Review 26(4), 2007: 387-409. “Disentangling the Racial Test Score Gap in a Large Urban School District: The Contribution of Schools.” Co-authored with Amy Schwartz and Leanna Stiefel. Journal of Policy Analysis and Management, 26(1), 2007: 7-30. “Immigrant Children and Urban Schools: Evidence from New York City on Segregation and its Consequences for Schooling.” Co-authored with Katherine O’Regan, Amy Ellen Schwartz, and Leanna Stiefel. Brookings-Wharton Papers on Urban Affairs, 2002: 183-214. “Telecommuting and the Demand for Urban Living: A Preliminary Look at White-Collar Workers.” Co-authored with Katherine Hempstead. Urban Studies 39(4), 2002: 749-766. “Neighborhood Effects on Health: Exploring the Links and Assessing the Evidence.” Co-authored with Tod Mijanovich and Keri-Nicole Dillman. Journal of Urban Affairs 23(3-4), 2001: 391-408. “Race-Based Neighborhood Projection: A Proposed Framework for Understanding New Data on Racial Integration.” Urban Studies 37(9), 2000: 1513-1533. “Stable, Racial Integration in the Contemporary United States: An Empirical Overview.” Journal of Urban Affairs 20 (1), 1998: 27-42. "Does Neighborhood Matter? Assessing Recent Evidence." Co-authored with Margery Turner. Housing Policy Debate 8(4), 1997: 833-866. “The High Cost of Segregation: Exploring Racial Disparities in High Cost Lending.” Co-authored with Vicki Been and Josiah Madar. Fordham Urban Law Journal, 361 (2009). “Balancing the Costs and Benefits of Historic Preservation.” Co-authored with Brian McCabe. In Lee Fennell and Ben Keys, Eds., Evidence and Innovation in Housing Law and Policy. Chicago, IL: University of Chicago Press, Forthcoming. “Low Income Housing Policy.” Co-authored with Rob Collinson and Jens Ludwig. In Robert Moffit, Economics of Means-Tested Transfer Programs in the United States. Chicago, IL: University of Chicago Press, Forthcoming. “Race, Poverty, and Federal Rental Housing Policy.” Co-authored with Jessica Yager. In HUD at 50: Creating Pathways to Opportunity. Washington, DC: U.S. Department of Housing and Urban Development, November 2015. “How New York Housing Policies Are Different—and Maybe Why.” Co-authored with Brendan O’Flaherty. In Andrew Beveridge and David Halle, New York City-Los Angeles: The Uncertain Future. Oxford University Press, 2013. “Racial Segregation in Multiethnic Schools: Adding Immigrants to the Analysis.” Co-authored with Katherine O’Regan. In William Tate, Ed., Research on Schools, Neighborhoods and Communities: Toward Civic Responsibility. Rowman and Littlefield Publishing. 2012, pp. 67-82. “Gentrification: Perspectives of Economists and Planners.” Co-authored with Katherine O’Regan. In Nancy Brooks, Kieran Donaghy, and Gerrit Knaap, Eds., Handbook of Urban Economics and Planning. Oxford: Oxford University Press, 2011. “Improving U.S. Housing Finance through Reform of Fannie Mae and Freddie Mac: A Framework for Evaluating Alternatives.” Co-authored with Mark Willis. In Marvin Smith and Susan Wachter, Eds., The American Mortgage System: Rethink, Recover, Rebuild. Philadelphia, PA, University of Pennsylvania Press, 2011, pp. 305-338. “Introduction.” Co-authored with Brendan O’Flaherty. In Ingrid Gould Ellen and Brendan O’Flaherty, How to House the Homeless. Russell Sage Foundation Press, 2010. “Siting, Spillovers, and Segregation: A Re-examination of the Low Income Housing Tax Credit Program.” Co-authored with Katherine O’Regan and Ioan Voicu. In Edward Glaeser and John Quigley, Eds., Housing Markets and the Economy: Risk, Regulation, Policy; Essays in Honor of Karl Case. Cambridge, Mass: Lincoln Institute for Land Policy, 2009, pp. 233-267. “Do Economically Integrated Neighborhoods Have Economically Integrated Schools?” Co-authored with Amy Ellen Schwartz and Leanna Stiefel. In Howard Wial, Hal Wolman, and Margery Austin Turner, Eds, Urban and Regional Policy and Its Effects. Washington, DC: Urban Institute Press, 2008, pp. 181-205. “Continuing Isolation: Segregation in America Today.” In James H. Carr and Nandinee Kutty, editors, Segregation: The Rising Costs for America. Routledge, 2008, pp. 261-278. “Spillovers and Subsidized Housing: The Impact of Subsidized Rental Housing on Neighborhoods.” In Eric Belsky and Nicolas Retsinas, Eds., Revisiting Rental Housing. Washington, DC: Brookings Institution Press, 2008, pp. 144-158. “How Integrated Did we Become During the 1990s?” In John M. Goering, Ed., Fragile Rights in Cities. Lanham, MD: Rowman and Littlefield, 2007, pp. 123-142. “Do Neighborhoods Matter and Why?” Co-authored with Margery Turner. In John M. Goering and Judith D. Feins, eds., Choosing a Better Life? A Social Experiment in Leaving Poverty Behind: Evaluation of the Moving to Opportunity Program. Washington, DC: Urban Institute Press, 2003, pp. 313-338. “A New White Flight? The Dynamics of Neighborhood Change in the 1980s.” In Nancy Foner, Ruben G. Rumbaut, and Steven J. Gold, eds., Immigration Research for a New Century: Multidisciplinary Perspectives. New York City: Russell Sage Foundation, 2000, pp. 423-441. “Spatial Stratification within U.S. Metropolitan Areas." In Alan Altshuler, William Morrill, Harold Wolman, and Faith Mitchell, eds., Metropolitan Governance and Urban Problems. Washington: National Academy Press, 1999, pp. 192-212. “Do Housing Vouchers Improve Academic Performance? Evidence from New York City” Co-authored with Amy Ellen Schwartz, Sarah Cordes, and Keren Horn. December 2016. “Trickle-Down or Crowd Out? The Effects of Income Growth Among the College Educated on the Consumption, Housing and Neighborhood Conditions of Low-Skill Households.” Co-authored with Davin Reed and Michael Suher. December 2016. “Crime and Neighborhood Change: Has Falling Crime Invited Gentrification?” Co-authored with Keren Horn and Davin Reed. October 2016. “Are Barrios Good or Bad? The Effects of Metropolitan Area Segregation on Latino Outcomes.” Co-authored with Jorge De la Roca and Justin Steil. September 2016. “Public Violence, Public Schools: The Impact of Neighborhood Violence on Student Performance.” Co-authored with Johanna Lacoe, Agustina Laurito, Patrick Sharkey, and Amy Ellen Schwartz.” June 2016. “Points for Place: Do Qualified Allocation Plans Shape Siting Patterns of LIHTC Developments” Co-authored with Keren Horn. February 2016. “Fiscal Federalism and Middle-Income Housing Subsidies.” Cityscape. Forthcoming. “Why it’s so Hard to Storm-Proof an Apartment Building.” Atlantic Cities, September 27, 2013. “Crime and Community Development.” In Nancy Andrews and David Erickson, Eds., Investing in What Works for America’s Communities: Essays on People, Places, and Purpose. Federal Reserve Bank of San Francisco, 2012. “Comment on ‘Are the Government-Sponsored Enterprises (GSEs) Justified?’” Co-authored with Mark Willis. Housing Policy Debate, 22 (2012): 149-152. “Decoding the Foreclosure Crisis: Causes, Responses and Consequences.” Co-authored with Vicki Been, Sewin Chan, and Josiah Madar. Journal of Policy Analysis and Management, 30 (2011): 388-396. “Segmented Housing Markets.” Encyclopedia of Housing and Home, 2010. “Comment on ‘The Mediocrity of Government Subsidies to Mixed-Income Housing Projects.’” In Gregory Ingram and Yu-Hung Hong, International Land Policy. Cambridge, Mass: Lincoln Institute for Land Policy, forthcoming. “Neighbours and Neighbourhoods,” The New Palgrave Dictionary of Economics, 2008. “Supporting Integrative Choices.” Poverty and Research Race Action Council Newsletter, September/October 2008. “Comment on ‘Metropolitan Growth, Inequality, and Neighborhood Segregation by Income.’” Brookings-Wharton Papers on Urban Affairs 2006. Book Review of Beyond Segregation: Multiracial and Multiethnic Neighborhoods in the United States by Michael Maly. City and Community 4(4), 2004. “Comment on ‘The Effects of Affordable and Multifamily Housing on Market Values of Nearby Homes.’” In Anthony Downs, Growth Management and Affordable Housing: Do They Conflict? Washington DC: Brookings Institution Press, 2004. “Housing Production Subsidies and Neighborhood Revitalization: New York City’s Ten Year Capital Plan for Housing.” Co-authored with Michael Schill, Amy Ellen Schwartz, and Ioan Voicu. Economic Policy Review, June 2003. Book Review of Migration, Transnationalization, and Race in a Changing New York, edited by Hector R. Cordero-Guzman, Robert C. Smith, and Ramon Grosfoguel. Journal of the American Planning Association, 69 (1), 2003. “No Easy Answers: Cautionary Notes for Competitive Cities.” Co-authored with Amy Ellen Schwartz. The Brookings Review, Summer 2000. “Welcome Neighbors? New Evidence on the Possibility of Stable Racial Integration.” The Brookings Review, Winter 1997. “Effect of QAP Incentives on the Location of LIHTC Properties.” Co-authored with Keren Horn, Yiwen Kuai, Roman Pazuniak, and Michael D. Williams. U.S. Department of Housing and Urban Development, April 2015. “Accessibility of America’s Housing Stock: Analysis of the 2011 American Housing Survey (AHS).” Co-authored with Luke Bosher, Sewin Chan and Brian Karfunkel. U.S. Department of Housing and Urban Development, April 2015. “Challenges Facing Housing Markets in the Next Decade: Developing a Policy-Relevant Research Agenda.” Co-authored with Vicki Been. NYU Furman Center for Real Estate and Urban Policy, 2011. “Community Development Corporations and Welfare Reform: Linkages, Roles, and Impacts.” Co-authored with David Wright, Michael Schill, and Richard Nathan. Report to the U.S. Dept of Housing and Urban Development, 2001. “Cautionary Notes for Competitive Cities.” Co-authored with Amy Ellen Schwartz. Prepared for Brookings Institution Conference on Competitive Cities, Chicago, April 2000.